Posted January 21st, 2013 by David Porter & filed under Hot Topics, MailBigFile, Social. 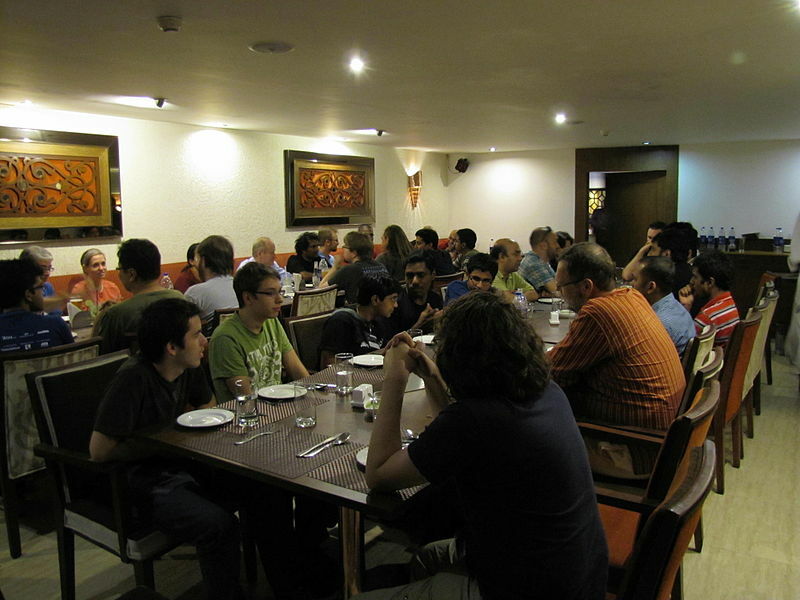 Hacking Becomes ‘Respectable’ with a Dinner in Mumbai, 2011! MBF Blogs have been bringing you news, views, controversies and information about the technology and human life interfaces. From time to time we update old articles to bring you the latest and because in this digital world, things rarely stay the same for very long! The Foreign Secretary, William Hague, has declared that Britain is being targeted by ‘up to 1000 cyber attacks every hour’. The onslaught is relentless as hackers and spies try to steal secrets, disable systems, commit fraud and theft. It seems that nothing is beyond the scope of the hackers. Every business with any sort of commercial secret and intellectual property and every anarchist/destruction fanatic is at it. The entire infrastructure of the country including satellite systems is at risk, every second, round the clock. Email accounts across government departments are particularly favoured targets, as they allow information to become available that would not otherwise be known. Knowledge is power in business and crime. There are some hackers who style themselves ‘ethical hackers’ and who choose to penetrate companies who make or do something they disagree with politically. The consequences of their illegal actions can be just as devastating as those with pure criminal intentions. When the hacker, Gary McKinnon, was saved from extradition to the USA by Home Secretary Theresa May, there was widespread rejoicing as he is autistic and may well have been unable to cope with the US penal system. It should be remembered that he stands accused of hacking into 97 US military and NASA computers between February 2001 and March 2002 from London. He deleted files which shut the US Army’s Military District of Washington for 24 hours and made 300 computers at the Earle Naval Weapons Station inoperable. He posted a notice on the military website, ‘Your security is crap’. It’s natural the Americans should want to prosecute him. However, many observers think they’d do better to thank him for showing up their weaknesses and offer him a job in cyber security. Britain’s GCHQ, the national listening centre, has set up an apprentice scheme to train young people who are naturally gifted at games and computers, in the hope of getting a security force equal to the warfare the country is engaged in. Conservative estimates put the cost of cyber crime in the UK at around £27 billion a year and rising. The ease and cheapness of some ready-to-use malicious software packages and the cheap market in credit card details are all evidence that cybercrime is deeply entrenched now, and given our dependence on computers, is a real worry. It is the opinion of many experts that many businesses believe their systems are safe and secure, while not realising they may already be compromised and are effectively being ‘run’ by criminals, remotely. Iain Lobban, GCHQ director warned that some business had ‘misplaced confidence’ in their own systems. The endless collapses of service in banks in recent months should support that claim and set alarm bells ringing. There is a political view that the government should openly declare ‘cyber war’ on rogue states and criminals who target Britain, with aggressive, disabling technology to stop them all in their tracks. In other words, that we should get our retaliation in first. FOOTNOTE: The current James Bond blockbuster movie, Skyfall, features a new, young, nerdish Q character, the gadget boffin. This figure delivers the latest devices and tricks as a spokesperson for the new age of techno-espionage.